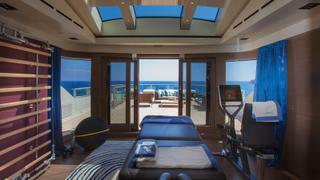 Once considered a bonus room, no modern superyacht is complete without a high-spec gym but, when space and weight are at a premium, choosing your equipment is a decision not to be made lightly. Whatever your preferred form of exercise, versatile machines that can offer a variety of benefits – and meet the needs of charterers and owners alike – are a must. 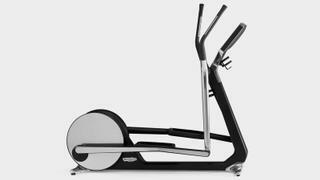 With over three decades of experience supplying high-quality workout equipment to the world's best spas, hotel and superyachts - including Saramour and Cloud9 - as well as being the official supplier of the last five Olympic games, Technogym knows a thing or two about creating hard-working machines. Its Personal line, designed by world-renowned architect Antonio Citterio in collaboration with Technogym founder and president Nerio Alessandri, offers high-performance exercise machines in impeccably designed packages. Here are the pieces you need now... Kinesis Personal Boasting a beautiful design tailored towards wellness workouts that take a mindful approach to physical and mental health, Kinesis Personal (pictured left on board Cloud9) offers an incredible 200 exercises while taking up less than one square metre of floor space. Utilising Technogym’s patented FullGravity technology, which is the perfect example of Technogym's dedication to research and development and allows resistance to vary according to changes in the range and angle of movement, Kinesis Personal has been developed to increase strength, flexibility and balance through a range of simple co-ordinated movements. 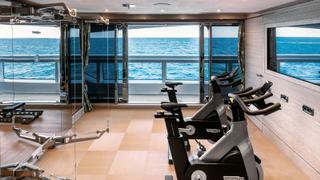 Once considered a bonus room, no modern superyacht is complete without a high-spec gym but, when space and weight are at a premium, choosing your equipment is a decision not to be made lightly. Whatever your preferred form of exercise, versatile machines that can offer a variety of benefits – and meet the needs of charterers and owners alike – are a must. Boasting a beautiful design tailored towards wellness workouts that take a mindful approach to physical and mental health, Kinesis Personal (pictured left on board Cloud9) offers an incredible 200 exercises while taking up less than one square metre of floor space. Utilising Technogym’s patented FullGravity technology, which is the perfect example of Technogym's dedication to research and development and allows resistance to vary according to changes in the range and angle of movement, Kinesis Personal has been developed to increase strength, flexibility and balance through a range of simple co-ordinated movements. Want something a little more familiar for your on board gym? 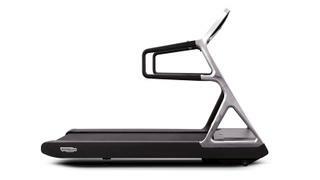 Technogym’s take on the traditional cross trainer is ideal for everyone from beginners to professional athletes and offers a smooth elliptical movement that works both the upper and lower limbs to maximise calorie burn and combat the inevitable excesses of holidaying on your superyacht. Plus, if you're not sure what will work in your on board space, call on Technogym's interior design and consultation service to help understand your options and find out what suits you best. With Run Personal Technogym has reimagined the standard treadmill into a stunning piece of design packed with the latest technological innovations. Featuring a large running surface and 19” HD touch screen, Technogym has employed its 30 years of experience to offer smart functions and clever details – such as an in built heart rate monitor and joystick speed controls – to offer a running experience that is a cut above the rest. Winner of the 2012 “Best of the Best” Red Dot Design Award, Recline Personal’s ergonomic structure was designed in collaboration with Citterio and Swiss furniture expert Vitra to offer the same level of style and comfort as Vitra’s signature ID office chair. Easily adjustable to provide tailored support, Recline (see here on board Saramour) is the best of the best when it comes to recumbent bikes. Along with Run Personal and Cross Personal, Recline Personal features Technogym’s unique Unity entertainment system which allows users to connect with their trainer via Skype and access personal training programmes, apps, websites and TV channels as well as connecting their smartphones to the Wellness On The Go system to view training data wherever they happen to be.